Dr. Patterson is a originally from New Jersey. She studied Biology with a specialization in Marine Sciences and received her Bachelor of Arts degree from Boston University in 2000. 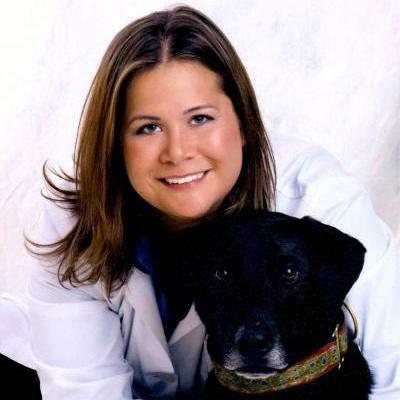 She then went onto receive her medical degree from Tufts University School of Veterinary Medicine. Her internship was in Emergency/Critical Care and Internal Medicine. She also received special training in diagnostic ultrasound, physical therapy, and veterinary acupuncture. 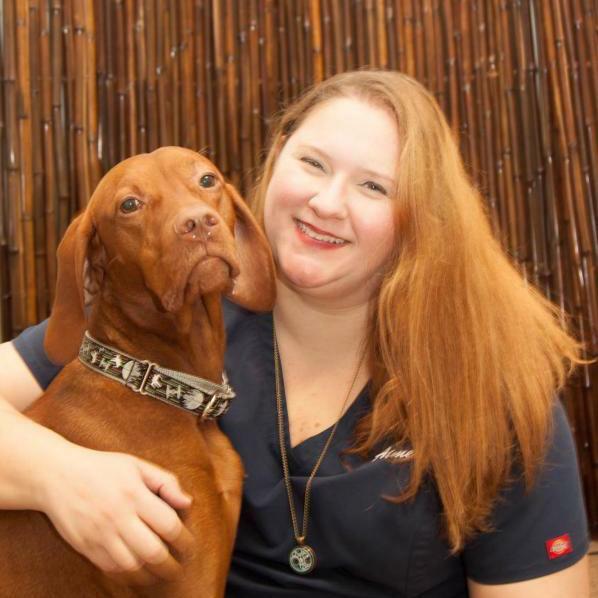 She is certified in veterinary acupuncture by The Chi Institute of Traditional Chinese Veterinary Medicine and veterinary rehabilitation medicine by The Canine Rehabilitation Institute. When not working, you can find Dr. Patterson on the boardwalk in Virginia Beach or walking along the beach with her husband Scott, her son, and their two energetic dogs. Dr. Hollowell has been practicing small animal veterinary medicine since 1998 when she graduated from Tuskegee University School of Veterinary Medicine. She moved to Virginia Beach in 2004 to be closer to family and met her husband Todd a native of this area. Dr. Hollowell has special interest in surgery, dentistry and rehabilitative medicine. 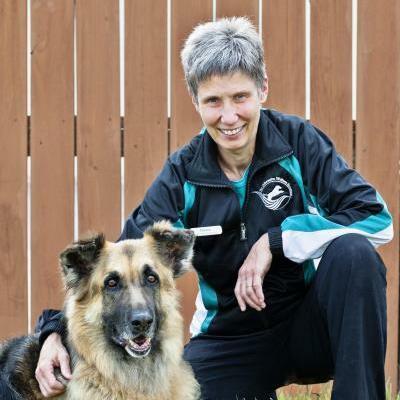 She became certified in Canine Rehabilitation Therapy in 2009 and works with PAWS for Rehabilitation to assist patients in recovering from injuries or improving the quality of life for many of our area’s four legged friends. She is mother to 4 fur babies – 2 special needs cats and 2 dogs. 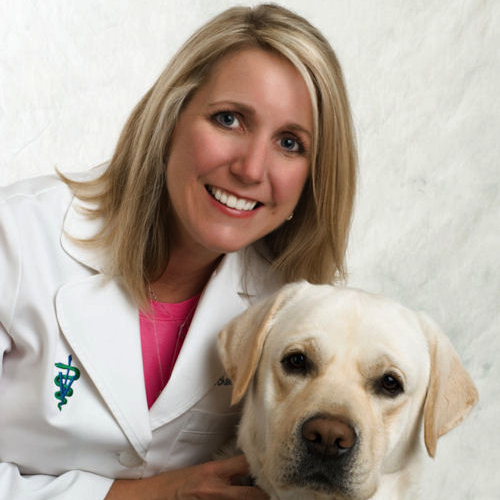 Dr. Hollowell has served in veterinary leadership roles since her graduation from Veterinary school and she enjoys volunteering her time in roles to improve the quality of life for veterinarians, clients and their patients. She is a member of the AVMA, AAHA, VVMA, SHRVMA, American Feline Practitioners Association, and the International Association of Veterinary Pain Management. In her personal time Dr. Hollowell can be found riding horses, sewing, reading or boating with her family with her three children. Dr. Ladd is a veteran of the US Navy. He earned his Bachelor Degree and his Doctor of Veterinary Medicine Degree from Kansas State University. He has held various positions in private clinical practice ranging from associate veterinarian to practice/business owner. Dr. Ladd has been actively involved in Sled Dog Medicine since 1990. He worked as a trail vet on the Iditarod, Beargrease, UP-200, Empire 130. He served multiple years as chief vet for the Beargrease, UP-200, Empire 130 and Copperdog 150. He served as chairman of the research committee for the International Sleddog Veterinary Medical Association. He served as the president of the Arrowhead Veterinary Medical Association in Duluth, MN while he lived there. Most recently Dr. Ladd served as an adjunct associate professor in the Department of Biomedical Engineering at Michigan Technological University where he also served on the Institutional Animal Care and Use Committee. In this capacity he reviewed Research proposals in regard to animal welfare and served as the Veterinarian of Record for the University’s Animal Care Facility. 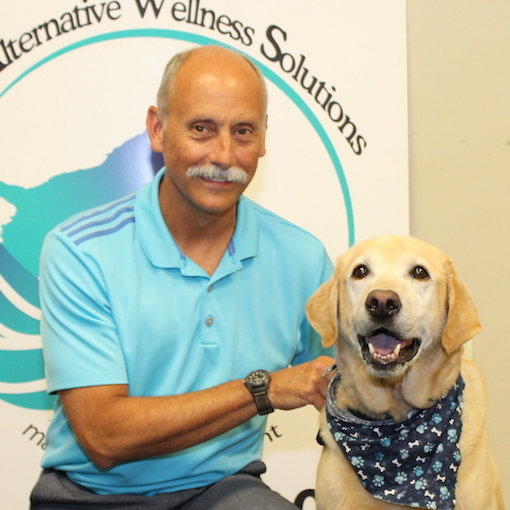 Dr. Ladd received his Certification in Rehabilitation from the Canine Rehabilitation Institute (CRI). When not working you can find him and his wife on the beach, riding their bikes, or enjoying one of the many cultural venues Virginia Beach has to offer. Aimee is a native of Virginia Beach. She received her bachelor’s in Biology from Old Dominion University and her Veterinary Technician Certification from Blue Ridge Community College. Aimee has worked in the veterinary field since 1992 in a variety of roles. During her time she has worked with both large and small animals, exotic animals and even marine life. Aimee joined the PAWS family in 2015. 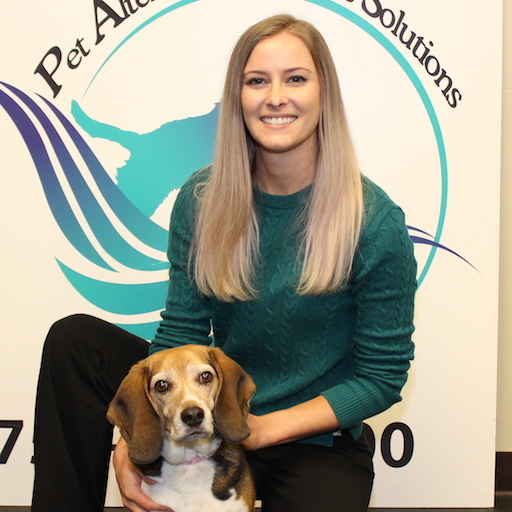 Aimee’s special interests in sports medicine and pain management are a nice fit with our services here at PAWS. She is currently pursing certification and will be our first Certified Canine Rehabilitation Assistant. Four dogs, two cats, a husband and a 10 year old fill Aimee’s time when not at work. She also enjoys competing in flyball and nosework as well as reading, crafting and cooking. Doreen is originally from Massachusetts but has lived in Virginia Beach since 1961. Her professional background is in Family Medicine as well as working with children with Autism. When the opportunity arose to come to work at P.A.W.S. For Rehabilitation she jumped at the chance. In her own words: “Having been part of the P.A.W.S. family as a client I felt this would be the dream job working with dogs and their awesome owners.” When she is not at PAWS, she enjoys gardening, biking, baking and hanging out with her husband Steven. Krickett is a Physical Therapist Assistant working primarily for Wardell Orthopedics in Suffolk. She has been a PTA for 8 years in an orthopedic out-patient setting. 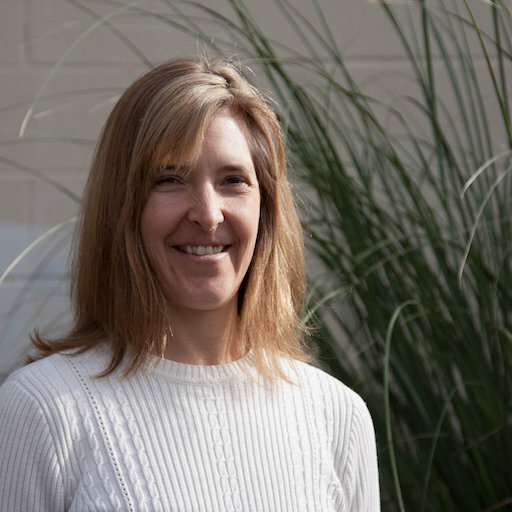 Through continuing education and amazing mentors, she has learned how to perform Myofascial Release and other manual techniques to improve function, relieving pain. With the combination of classes and gifted hands, she has been able to relieve pain not only for people, but dogs too! Chelsea has happily been a part of the PAWS family since 2016. Originally from California, in 2009, she received a Bachelors degree in Psychology from the University of San Diego. In 2012, she began her profession as an Administrator and Financial Specialist. She has a passion for traveling, alongside her husband, and has had the opportunity to live in various areas around the country. Additionally, she has enjoyed traveling abroad to destinations such as New Zealand and Ireland. In her personal time, you can find Chelsea hiking, practicing yoga, or spending time with her husband and their two fur babies.